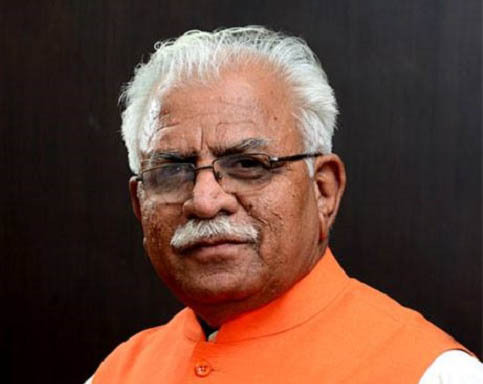 Chandigarh, January 12- Haryana Government has decided to organize “Akhada Competitions” regularly with a view to promote ‘akhadas’ which are in large number in the state.The cash awards for winners of State Level Akhara Competitions have also been significantly increased. This was announced by Haryana Chief Minister, Mr Manohar Lal while unveiling the new sports policy, ‘Haryana Physical Activities and Sports Policy-2015′, to the people of the state in a state level function organized at Rohtak on the occasion of birth anniversary of Swami Vivekananda. The award money for winners at the district level i.e. District Kesari and District Kumar and at the state level i.e. State Kesri and State Kumar is will be brought at honourable level. The sportsperson securing first position at State Level Akhara Kushti Competition will now get Rs 5100 instead of Rs 500 earlier. The sportsperson bagging second position will get Rs 3100 instead of Rs 300 and the winner at the third position will get Rs 2100 instead of Rs 200. The sportsperson securing first position at State Level Kumar Dangal Competition will now get Rs 51 thousand instead of Rs 21 thousand earlier. The sportsperson bagging second position will get Rs 31 thousand instead of Rs 11 thousand and the winner at the third position will get Rs 21 thousand instead of Rs five thousand. The sportsperson securing first position at State Level Kesari Dangal Competition will now get Rs 1.51 lakh instead of Rs 31 thousand earlier. The sportsperson bagging second position will get Rs one lakh instead of Rs 21 thousand and the winner at the third position will get Rs 51 thousand instead of Rs eleven thousand.